Easter is far from an easy time for Lo-Carbers – even if you can resist a sneaky hot cross bun, there is chocolate everywhere. But I’ll let you in on a secret. Most chocolate easter eggs are made from really horrible chocolate. You can always tell bad chocolate without even bothering to unwrap it. Just check out the nutritional panel – and if it’s more than 50% sugar, then they are trying to disguise the flavour of horrid chocolate by overwhelming you with sugar. Most chocolate easter eggs are more than 50% sugar, and the small ones filled with fondant like creme eggs are over 2/3rds sugar. You can make Lo-Carb chocolate that is not only good for you, but it will taste so much better than easter egg chocolate. Chocolate needs 2 ingredients; Cacao Butter which is the fat extracted from the fermented bean of the Theobroma Cacao tree, and Cacao solids which is the rest of the same beans once most of the fibre has been removed. To improve and intensify the flavour these fermented beans are usually roasted, and the resulting solids are then called Cocoa – note how all the last vowels switched places. Sarah Wilson has some research on She quit sugar – Raw cacao vs cocoa: what’s the difference?. The TL;DR (Too long; Didn’t read) version is that Cacao is the raw form and has multiple health benefits including a high level of antioxidants, Cocoa is cooked at a high temperature and some of those benefits are apparently lost. Personally the benefit I am after, specifically that Cocoa reduces blood pressure and insulin resistance, is a result of the flavanol epicatechin that are is in raw Cacao as well as cooked Cocoa – so for me the distinction is one without much of a difference. I’m going to use the two terms interchangeably. Cocoa after the roasting process is quite acidic, with a pH of 5-6. In the Dutch method it is alkalized by being washed in potassium carbonate to bring it’s pH to a neutral 7. This also changes the flavour from an almost citrus like acidity to earthy mellow flavours. If you are baking there are differences between dutched and un-dutched cocoa and you can find more information on that at Serious Eats – What’s the Difference Between Dutch Process and Natural Cocoa Powder?. For making chocolate it doesn’t matter if you have Cacao vs Cocoa vs Dutched Cocoa – they will all work make chocolate, and will all taste slightly different. You should try all 3 to find out what you personally prefer. The bad news is that even unsweetened chocolate, made from just Cacao butter and Cacao powder contains carbohydrates. According to the USDA Nutrient Database 100g of Unsweetened Cocoa contains as much as 57g of Carbohydrate, 37g of which are fibre and 1.75g is sugars. It is not obvious if the outstanding 18g of carbohydrates which would be starches are ones we can metabolize or not – but I think it is reasonable to assume they are. The good news is that Cacao solids are 14% fat, and of course Cacao butter is 100% fat and it’s an awesome fat that can be processed to be solid at room temp and melt at 1-2º below body temp so they have the perfect mouth feel. This process is called Chocolate Tempering, and it’s a little intimidating but I have found a simple technique that works reliably. To understand Tempering we need to look at what happens to chocolate (or specifically to the cacao fat) as it melts or cools. Cacao fat is made up of molecules that when they cool from a liquid, they align themselves into solid crystals that can take 6 different forms, known as type I,II,III,IV,V and VI polymorphs. Each different type of Crystal melts at a different temperature, and each has different properties. The crystallization and melting temperatures of each form depend on the specific fatty acids in the triglycerides, and that changes slightly depending on the region the tree grew in. The most commonly accepted values come from “The polymorphism of cocoa butter” but I wouldn’t be surprised if the Cacao butter you have melts and crystallizes up to a degree either side of these values. There are 4 forms of chocolate crystals (I, II,III, and IV) that are frankly pretty ordinary, making dull or soft chocolate that bends instead of snapping, and melts in your hand. You’ll probably recognize that some cheap easter eggs are made from this stuff, and most home made chocolates you’ve probably eaten have been this kind. There are also type VI crystals, but you can’t crystalize those from melted chocolate. You basically have to store type IV crystals at room temperature for 4 months before that develops – so that’s no good to us. Clearly the best of these forms is the type V crystals. A chocolate bar made of type V crystals won’t melt in your hand, but it will melt easily in your mouth and it will be glossy and will ‘snap’ – which every choc-a-holic agrees is desirable. So when you melt chocolate at around 45°C all of the crystals break down, as you cool the chocolate past the melting point of each type of crystal (except for VI which is a special case) the crystals will start to form in the chocolate. If you take liquid chocolate and throw it in the fridge or freezer (like a lot of Low Carb chocolate recipes suggest you do) you’ll end up with ‘wild crystallization’ which will result in a few crystals of V, IV, and III but mostly type I crystals which will make for a soft dull crumbly chocolate. If you keep it in the fridge, then it will turn into type II chocolate and start to bloom. So let’s look at the process to make lo-carb chocolate that is properly tempered. First we melt Cacao Butter, Cacao Solids and any Sweetener we’re going to use at above 42ºC which will completely melt any crystals. Here I am using a double boiler made from a saucepan with water providing heat to a glass bowl sitting on top of it to melt the Cacao butter. You can speed up the process of melting the cacao butter by grating it. There are two vital things to bear in mind at this stage. Cacao butter will burn over 48ºC, and once that happens you can’t rescue it – you have to throw it away, and start again with a new batch. So if your mix is starting to get close to your melting point take it of the heat and let it’s momentum carry it over the threshold. 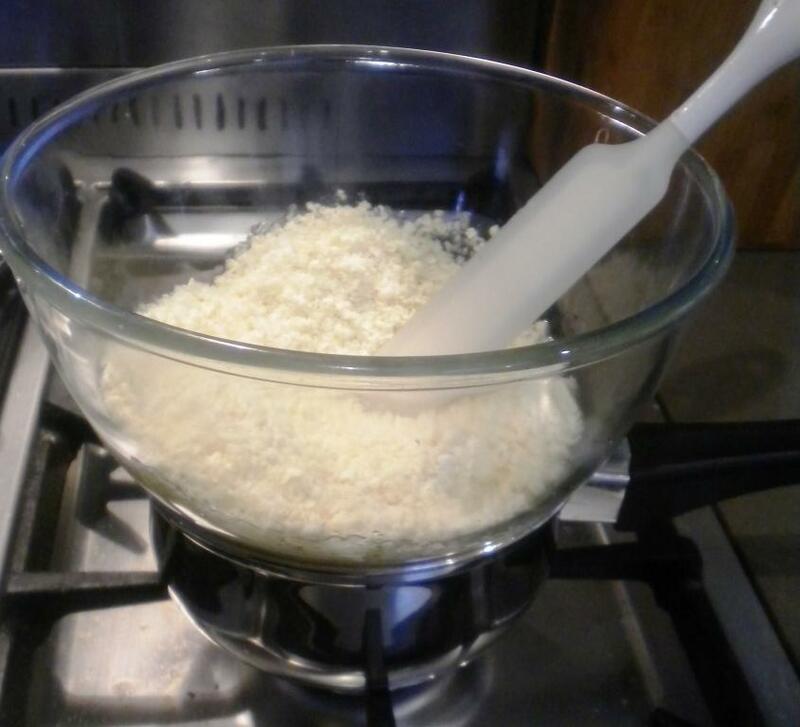 If you are using a double boiler, keep a pan with cold water in it so you can put the base of the bowl in it to rapidly cool it if it looks like it is starting to get away from you. 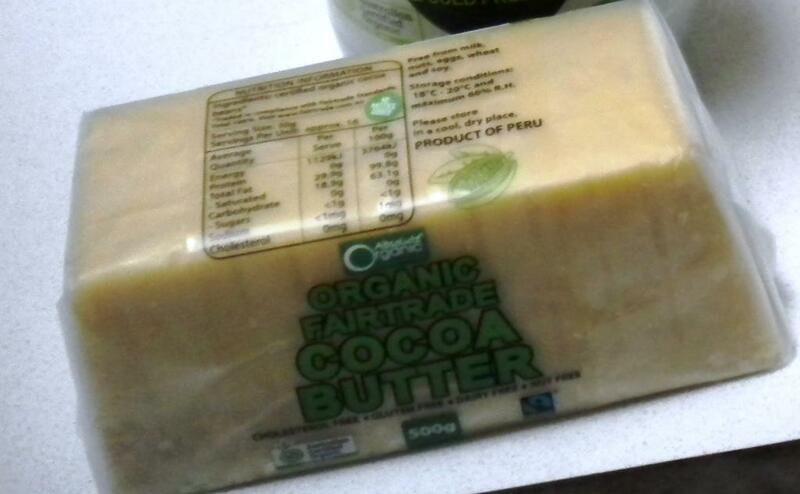 Cacao butter is a fat, and as you probably know fat and water don’t mix. 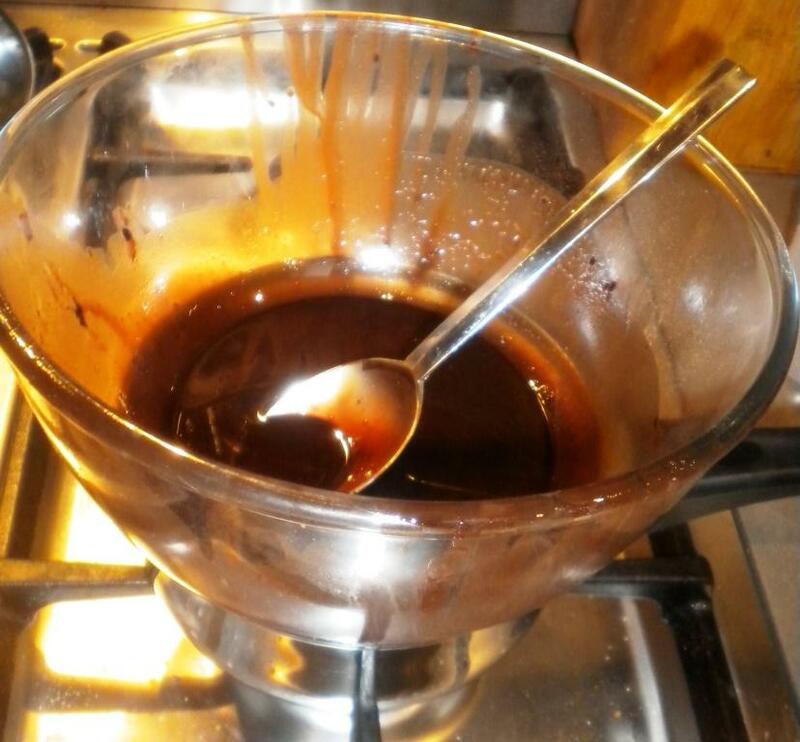 If you let ANY water (even steam) near melted chocolate it will seize up and you’ll have to toss it out and start again. So that last point about water is important when considering what sweetener you will use. Liquid sweeteners are usually dissolved in water – so you can’t use stevia (unless you can find the powdered kind). You can use Erythritol or Xylitol crystals, powdered Splenda or even powdered stevia – you’ll have to play around with which one tastes right to you because it seems that everyone has a different taste reaction to artificial sweeteners . I use pure Sucralose (which is the sweetener in Splenda but without all the filler) and this stuff is 600 times sweeter than sugar so I have a special set of micro spoons that goes down to 1/128th of a teaspoon. Now you cool the mix to 27ºC which will will be too hot for type I, II, and III crystals to form but you will start to get type V crystals, and because the temperature of your mix will drop the further you measure away from the heat source you will likely get a few type IV crystals. 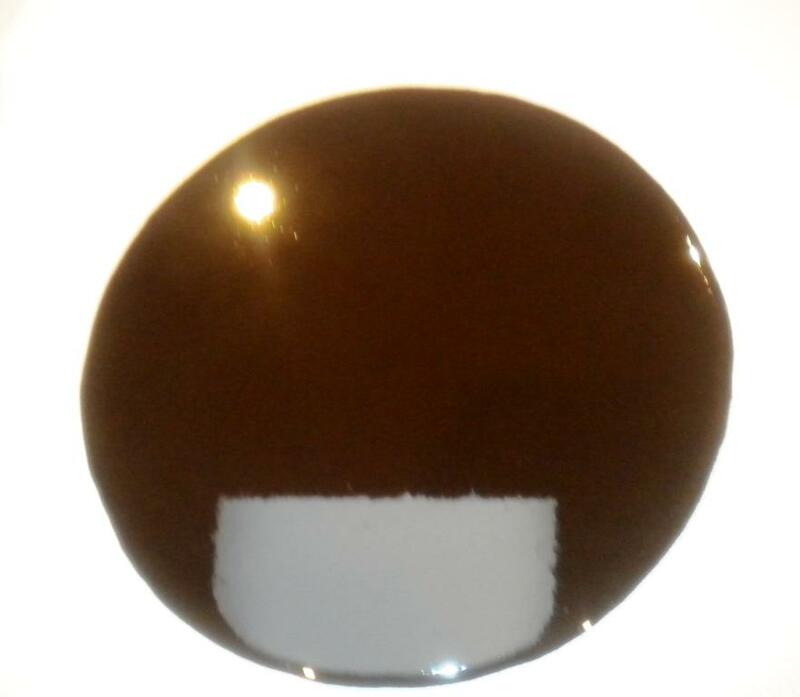 So you now have Liquid Chocolate and in it are growing the two types of crystals. I’m using a tempering stone here to rapidly pull the heat out of the liquid chocolate – actually it’s my granite countertop. If you don’t have a granite or marble counter, one trick for making your own tempering stone is to find a local custom kitchen builder in your area and ask them if they would sell (or give) you the sink cut out from someone elses custom kitchen job. That is usually just thrown out and it’s just the right size to make into a tempering stone. Initially you will have a puddle of liquid chocolate on the tempering stone. Then work it around with a dough blade or cleaver until it starts to thicken. Keep track of the temperature and when it gets to 27ºC scrape it off your tempering stone and back into the bowl you melted it in. As the liquid chocolate cools, if it comes into contact with a type IV crystal it will become another type IV which we don’t want, if it comes into contact with a type V it will become a type V which we do want. This process is called seeding. The next step is to remove as many type IV crystals as we can by taking the temp of the mix back up above the melting point of type IV crystals (27.5°C). So we gradually increase the temp to 32°C which is just below the melting point of type V crystals (33.8°C) which is way too hot for the type IV (or any random I, II, or III) crystal, and the only crystals we should have should be the type V crystals. 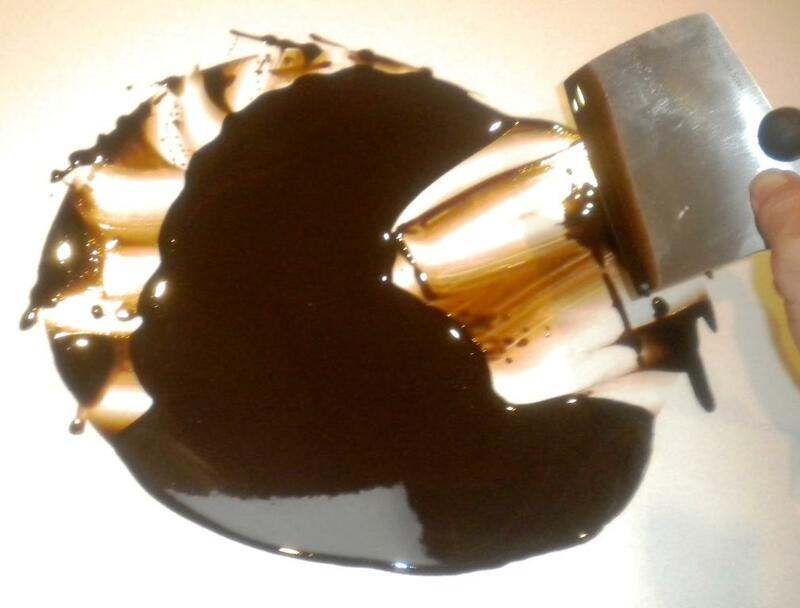 To encourage the rest of the liquid chocolate to form into type V crystals we just need to make sure that we agitate the mixture so any liquid about to set comes into contact with a type V crystal to encourage it to also settle into that form. At 32°C the mixture will grow more type V seed crystals, but won’t completely solidify until we bring the mixture down to room temperature. While heating the mixture, I just keep stirring until it has reached temperature, which ensures that enough type V seeds have been produced. At 32°C the mixture will stay liquid for a long time and we can safely work with the mixture, spoon it int moulds or dip foods into it. As soon as the temperature drops to room temp it will set. Because we have encouraged many type V seeds most of the liquid chocolate will set into properly tempered hardened chocolate. This batch I poured into a silicone mold containing candied macadamia nuts, and let that set slowly overnight on the kitchen counter. 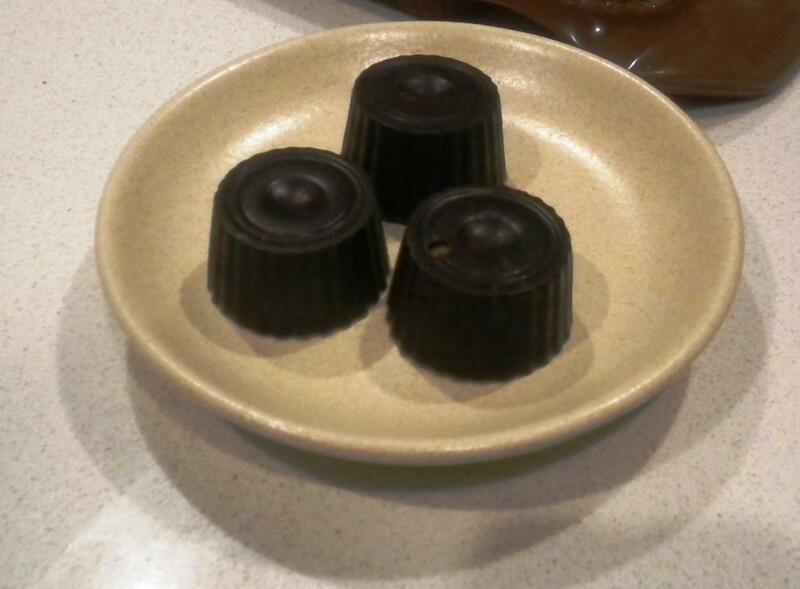 The result was chocolates that were perfectly tempered, Shiny and hard, with that notorious ‘Snap’. Great info scientifically, but cannot see the proportions of each ingredient. Can you elucidate please? It’s very much up to your personal taste. The more cacao powder the stronger the chocolate flavour, and obviously sweetener is a personal preference. Personally I like a milder chocolate flavour, so for me 2 tbs of cacao for a cup of cacao butter. For sweetener I use 1/32nd of a teaspoon (I have a set of miniature spoons and this is known as a smidgen) of pure sucralose. hi there, thanks for sharing. This is almost as close as I am to researching for making my own low carb chocolate. My daughter loves milk chocolate. Can I use fresh high fat cream (we are doing ketogenic for health reasons) or milk powder or any other ingredient like almond butter etc? At which stage do I temper please ? You don’t NEED to temper but that is how you make the best chocolate. I would make the center of a chocolate with cream (which would be known as a ganache) or with nut butters and freeze them till hard then coat those in tempered chocolate for a creamy filled chocolate that melts in your mouth not your hand.